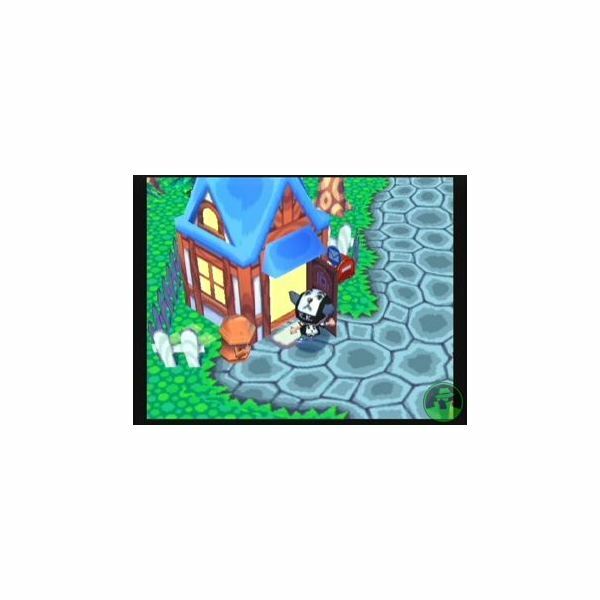 Animal Crossing is a fun RPG for the Gamecube. One of best things about this game is its distinctive story. You begin as a human who is tired of city life, so you take a trip out to the country to start over in a more rural setting. Of course, when you get there you have nothing. How are you going to live? Thankfully, you are able to procure a house (on loan) from a shop owner, and your job is to eventually pay off that loan. In the meantime however, you’re free to wander about town and meet the locals. Oh, and yes they are rather furry but they do have a lot of personality. So what do you do from here? Well, you need to go around talking to people (animals) – not a terribly innovative RPG idea. But despite the possibility that it could go downhill from here, the game is actually really fun because of the conversations you have with your new neighbors. In fact, conversations are key to this game, so make sure you talk to everyone you can. Interestingly enough, there really isn’t too much redundancy in conversations, which is a really nice change of pace. There’s enough variety to keep you going, and it never gets boring seeing what these animal neighbors will do or say next. Besides the conversations you can have with everyone in town, there are a few other fun activities you can take part in. There are things you can collect, like fish, fossils, or furniture. Then there are the jobs you can take on for your neighbors involving you delivering items from one end of town to the other. That’s a usual quest-type thing for an RPG, but its no worse than any other RPG you may have played. The only downside to these tasks is that sometimes you end up going backwards and forwards across the town multiple times before finally finishing them up. But since the town isn’t too large, its not too annoying. One of the most difficult tasks you can do is fishing. Difficulty of course is a relative term however, since there really aren’t any aspects of this game that are particularly challenging. But fishing is probably the most difficult, since it involves correct timing. If you have a Game Boy Advance and a link cable, some unique options become available. For one thing, the GBA unlocks an island you can visit outside the normal environs of the town. You can also get access to some old NES games through the use of the GBA. There is a pattern tool you use in the game for designing different clothing designs, and your GBA can become a portable tool for playing around with your patterns. 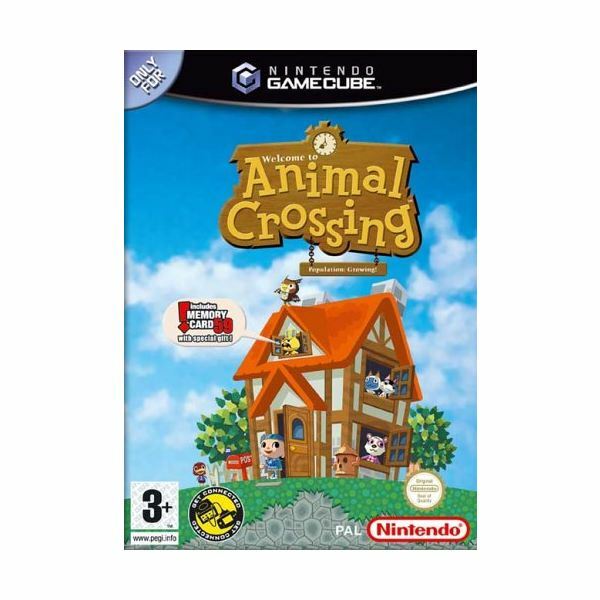 The game was initially designed prior to the Gamecube being ready for production, but Nintendo decided at the last minute to port it to the Gamecube anyway. So you have to keep this in mind when you’re looking at the graphics of the game. The Gamecube is one console with the power to really blow you away graphically, and this game just wasn’t designed with that in mind. That’s not to say that the game isn’t pleasing to the eye however; its just that the visuals won’t leave you breathless. The art style is colored and drawn much like Kirby or Mario Kart maybe, so its still nicely done. The faces lack a lot of detail for example, but none of this detracts from the game much at all. The sounds of the game are also an indicator of when it was designed, since they music and sounds were not really designed to take advantage of all the Gamecube has to offer. The jazzy and fun tempo of the music is very warm and inviting, and none of this detracts from the gameplay or enjoyment. Just don’t expect to be blown away. All in all, this game is a welcome diversion from the usual. The gameplay is fun, the environment is very much an open sandbox to play in, and the storyline is interesting and unique. While the visuals or music won’t leave you breathless, they’re still good enough. The bottom line is that this is a fun game, for gamers of all ages.